SUPERIOR EXTERIOR SYSTEMS is a local completely un-biased James Hardie Preferred siding contractor that has offered all lines of HardiePlank, often called Hardie Board, fiber cement siding over the last 2 decades. Color Plus is pre-painted James Hardie Plank siding which is meticulously manufactured and painted in a temperature controlled environment AT the actual Hardie Plank factory in Reno Nevada. Well worth the wait which is usually 2-3 weeks including shipping time. When you choose Color Plus technology, you get a VERY impressive 15 year paint warranty from James Hardie which is alongside their standard 30 year warranty on the actual material itself. With Color Plus pre-painted Hardie Plank you will skip at least 2 paint cycles, if not more, which will save you thousands of dollars. Think about that. The chances of you ever painting your home again are not likely unless you live there a very long time. Color Plus fiber cement siding is custom made in the factory for your specific home. It does cost more for material and installation as not just anybody can handle it since it must be installed and handled VERY carefully only by accredited Hardie craftsmen. The paint savings are huge. How much did your last paint job cost? Multiply that times 2 or 3 and it usually makes sense. You can even paint it earlier than 15 years but I can't see why you would since it looks so good for so long. To the left are your choices of pre-painted Color Plus Hardie Plank. Click on the video at the top of this page or watch the slideshow above to see pics of local James Hardie Plank siding and some custom design ideas. SUPERIOR EXTERIOR SYSTEMS works closely with the team at James Hardie Plank and has been recognized as an industry leader for our master craftsmanship, product knowledge, and professional installation techniques impressing the engineers at James Hardie. Color Plus comes in many different colors and options for any style home. The grain texture itself is identical to normal pre-primed HardiePlank and is known for its realistic cedar grain look. Superior Exterior Systems is a completely unbiased company and will gladly show you the differences available and all the reasons to select the right style, trim, and accents that will give you the look you desire and still fits within your particular budget. 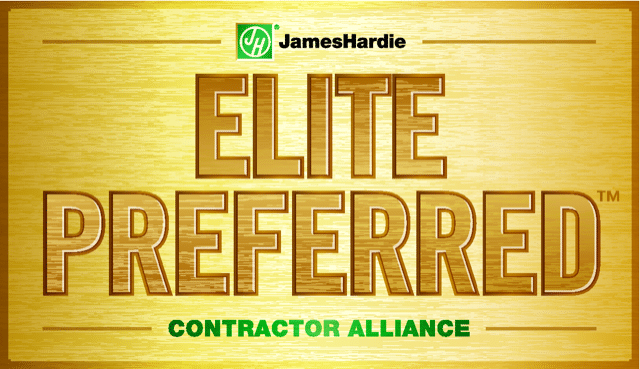 Our craftsmen have had extensive training and development with proper installation guidelines from the engineers at James Hardie to ensure our clients are getting the absolute best installation with complete compliance and warranty coverage. On every siding project we do here in the entire Portland and Vancouver metro areas, we include our premium weatherization package that entails a special water membrane system from moisture barrier to flashings on windows, doors, corners, along with the sealing and caulking of all framework. This special system will reduce your heating and cooling costs, while it is protecting your homes exterior building envelope from moisture intrusion, and your investment. All products we use are of the highest quality available, documented and rated by numerous publications. Keep in mind we will order whatever product you want. Click here for an inspection.